Samsung has finally waved goodbye to the utilitarian plastic body of the S series phone of the past. Instead, the S6 embodies a unique blend of glass and metal sculpturing techniques. 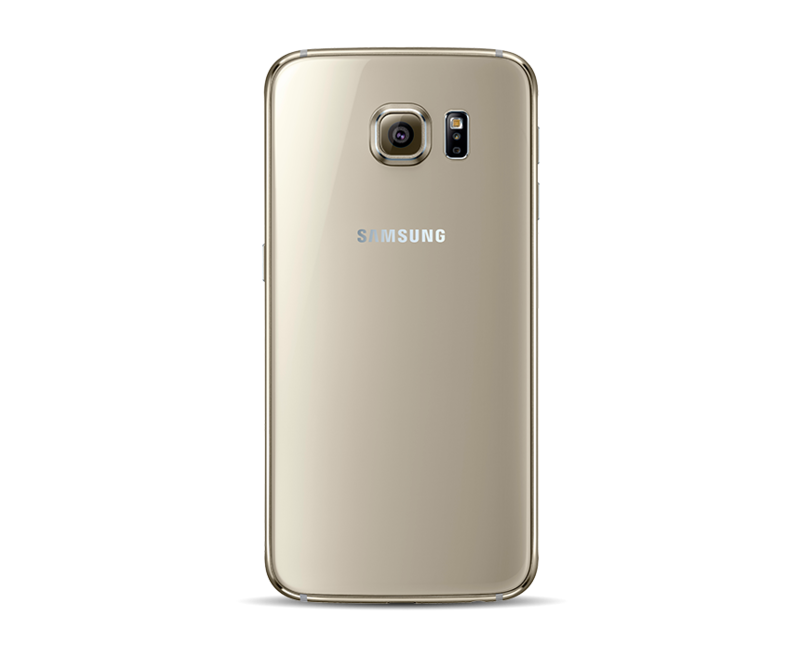 The beautiful curvy body and the beaming glass surface make the phone look classy and elegant. 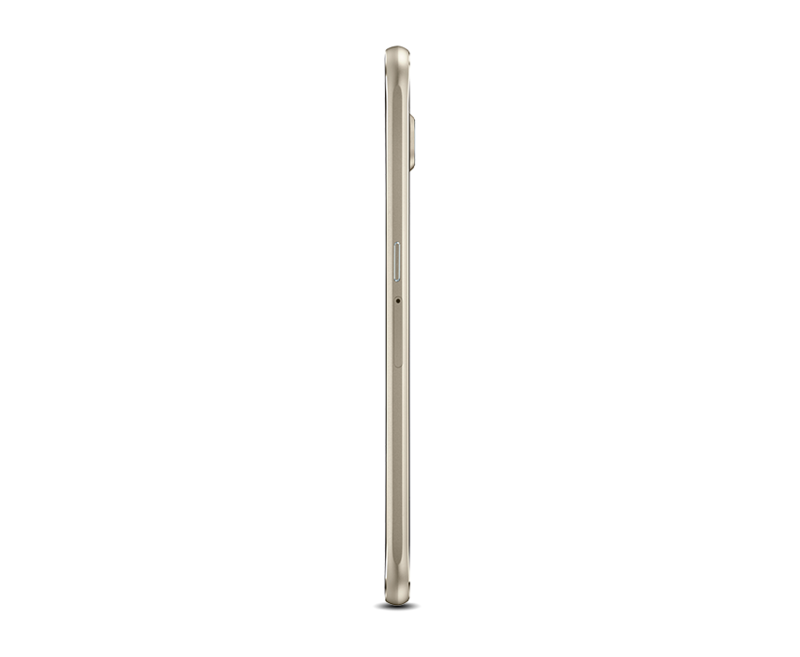 The built and design have been improved in this phone to a remarkable extent. It has a sleek design and the 3.5mm headphone jack has been shifted to the top. All the other buttons are newly positioned and the trademark oval shaped home button is still the same. The color of the device is covered by shining chrome slipped beneath the smooth Gorilla Glass 4, which covers its front and rear. The Gorilla Glass 4 is supposed to be less likely to breaking as well as surface scratches. The home button is integrated with fingerprint sensor. Samsung seems to have worked quite a bit on the new phone with significant improvements. It features a 5.1 inch display with an eye blazing 2560 x 1440 Quad HD resolution at 577 ppi. The Super AMOLED display is much better offering better viewing angle and brighter as well as crispier images. 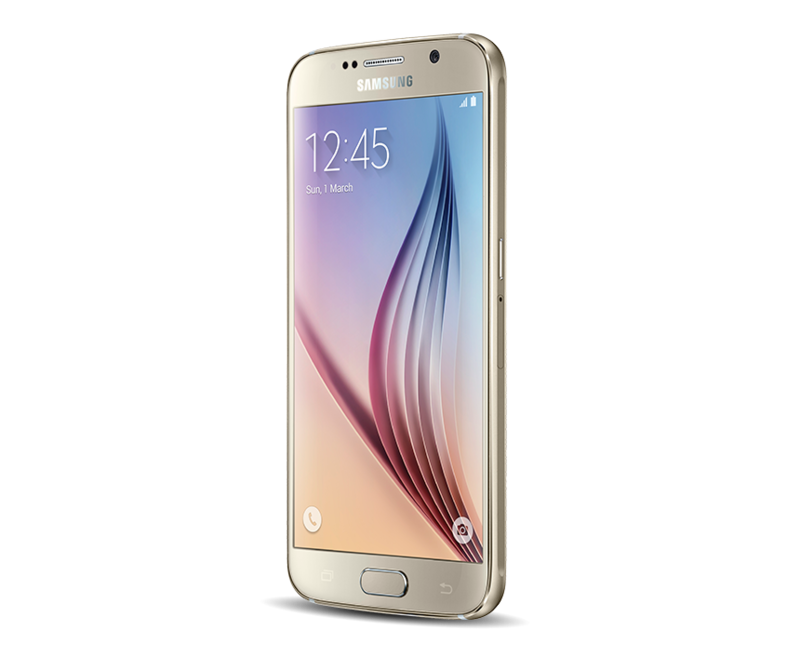 Samsung powers this phone with Quad-core 1.5 GHz Cortex-A53 and Quad-core 2.1 GHz Cortex-A57 processor, which works together for enhanced performance. The processor is not only fast but also power efficient and the Exynos 742o chipset add to its performance. The phone is also equipped with Mali-T760MP8 GPU. The phone is as well equipped with 3 GB RAM, which facilitates faster as well as glitch-free performance. As mentioned earlier, the phone is available in three variations in terms of internal memory i.e. 32GB, 64 GB and 128GB. The drawback of this device is that it does not have an SD card slot to increase the memory. However, the internal memory seems to be sufficient for storing data. The phone boasts of the new Android 5.o (Lollipop) operating system, which comes with a better user interface as well as supports a wide range of applications. The new S6 sports a 16 MP rear camera, which is helps this phone to stand out from the league with amazing image quality. With optical image stabilization and higher aperture of F1.9, you can capture clear as well as crisp images with minutest detail. Even the camera launch speed is quite swift that improves the image capturing experience of the users. In addition, the camera has a CMOS sensor, which as well facilitates better capturing of images. The rear camera also has a flash, which enables you to capture images even in low light condition. It has everything that a high-end point-and-shoot camera has. The rear shooter also supports HD quality video shooting. There is a 5 MP shooter at the front panel, which allows you to take high-quality selfies as well as video calling. The phone comes with a number of sensors such as Accelerometer, Barometer, Fingerprint Sensor, Gyro Sensor, Geomagnetic Sensor, Hall Sensor, HR Sensor, Light Sensor and Proximity Sensor. The device can be connected with a Samsung Smart TV via BLE and share your phone’s screen with the TV and vice versa. It has new Smart Manager application, which lets you keep a check on the useful and essential functionalities. It supports a number of audio formats like MP3, M4A, 3GA, AAC, OGG, OGA, WAV, WMA, AMR, AWB, FLAC, MID, MIDI, XMF, MXMF, IMY, RTTTL, RTX and OTA. Video formats supported by the phone are MP4, M4V, 3GP, 3G2, WMV, ASF, AVI, FLV, MKV and WEBM. The video playing resolution supported is UHD 4K (3840 x 2160)@30fps. The phone has wearable device support like Gear Circle (Manager Support), Gear Fit and Gear. The other connectivity options include Wi-Fi 802.11 a/b/g/n/ac, dual-band, Wi-Fi Direct, hotspot; Bluetooth v4.1, A2DP, LE and apt-X; GPS, NFC and Infrared. It has a microUSB port for connecting to other devices as well as USB Host. The phone supports Nano SIM. Smart Manager, Smart Stay, Smart Alert, Direct call, Flip to mute, Quick toggles, Multi-view, Download booster, S Finder, Quick connect, Notification Reminder, Emergency mode, Private mode, Send SOS messages and Adapt sound are some of the pre-loaded apps on this phone. 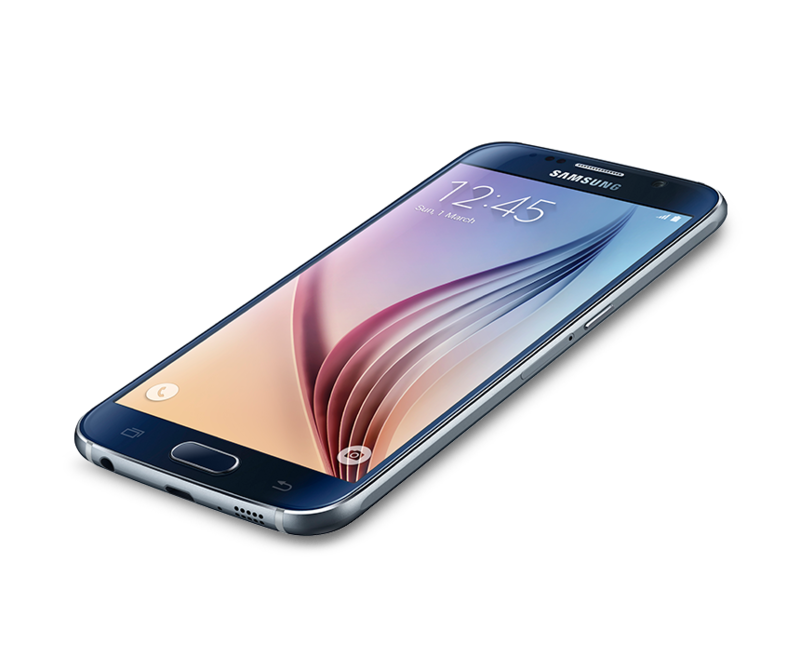 Samsung has equipped the Galaxy S6 with a 2,550mAh non-removable battery and claims to offers amazing battery backup. With a single charge, the battery runs up to 10 hours of 3G Internet usage time, up to 11 hours of LTE Internet usage time, up to 12 hours of Wi-Fi usage. Video playback time is up to 13 hours, audio playback time of up to 49 hours and 3G talk time up to 17 hours. The price varies according to the variants available. The 32 GB variant is priced at Rs. 49,990, 64 GB comes with a price tag of Rs. 55,900 and the 128 GB is priced at Rs. 61,900. 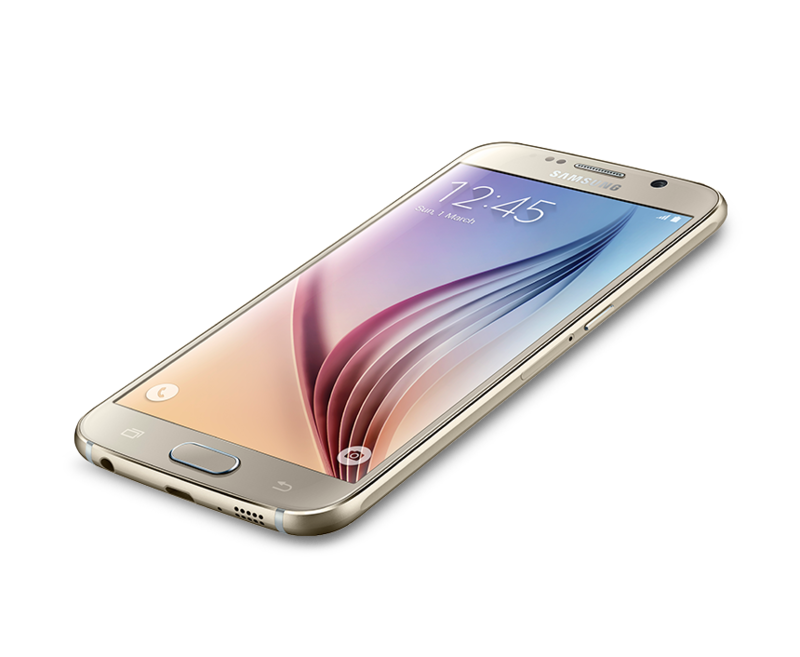 Samsung has tried its best to make Galaxy S6 its flagship phone. It comes with a classy design and has a good built. The display as well is amazing; however, the phone does not come with water or dust resistance. It does not have a microSD slot for expanding the internal memory, no FM radio and stereo speakers. Nevertheless, the phone comes with high-performance processor, the latest operating system and several more utility features, which makes this phone worth buying. Even the battery is quite decent and in terms of price, the phone is ideal if you want to buy a high-end Android phone.